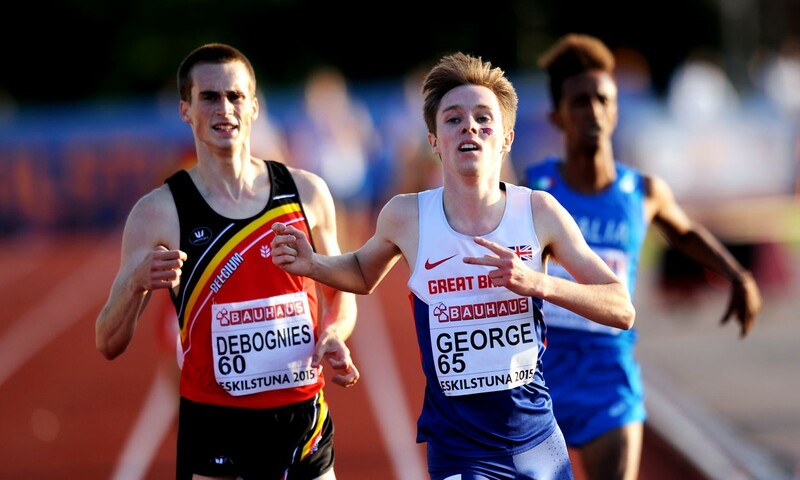 Having won his first national track title when taking victory in the England Athletics Under-20 Championships 5000m race in June, it wasn’t long before Alex George catapulted himself on to the top of the continental podium when taking a surprise title at the European Junior Championships the following month. Not even the 19-year-old himself had expected to bring home the gold from Eskilstuna, Sweden, although he was quietly confident he could challenge for medals in the right race. The Gloucester athlete had won regional titles in the past, as well as taking Mini London Marathon victory on the roads, but 2015 was arguably a big breakthrough year for the Paul de Camps-coached athlete, as in addition to his European triumph, he had also represented his country at the World Cross Country Championships in China, an experience he feels paid dividends when the chips were down in Sweden. “Running at the World Cross helped my confidence as it made me feel that I can compete with the best in the world,” he says. However, Alex is quick to credit his move to train and study Stateside at the University of Arkansas for his success this past year. The criminal justice student says: “I decided to go because of the life experiences that would come with it and I thought it would be the best place for me to develop as a runner. I visited five schools and bought into the training philosophy of the coach at Arkansas. “We have lots of great places to run and train. For everyday runs there are many dirt roads or soft gravel trails. For cross-country sessions we have our own cross-country course. We also have a 400-600m hill at the golf course, which we will use for hill reps.
Alex also feels a step up in his training during the winter, together with some fine tuning with De Camps when he returned home, contributed to his run of good form. Athletics success is arguably in Alex’s blood. His granddad trained with 1948 Olympic 400m champion Arthur Wint and the first sub-four-minute miler, Roger Bannister, while he was studying dentistry at Guy’s Hospital in London. Meanwhile twin brother, Tom, boasts a 1500m PB of 3:49 and is the perfect training partner for Alex when they are at home. You can find further performance stats on Alex on Power of 10 here.